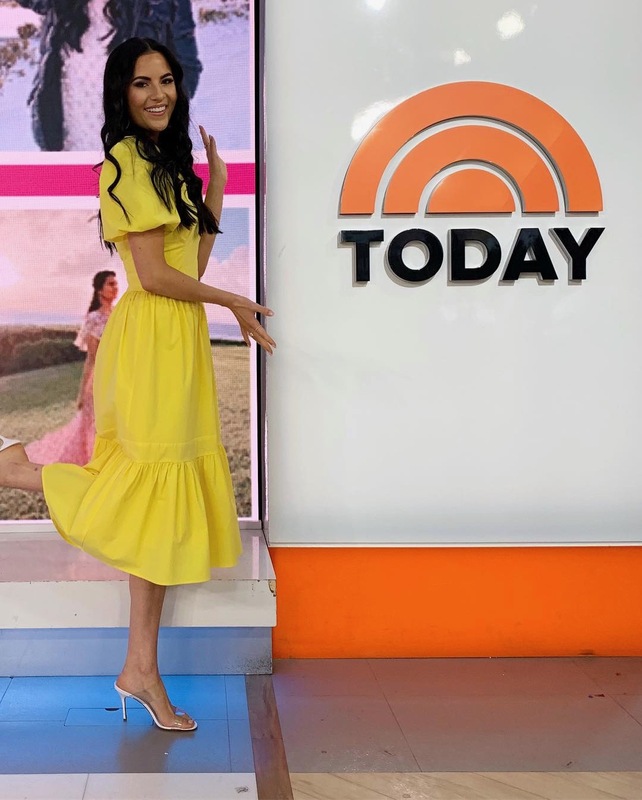 You guys… I still can’t believe that I was on the TODAY Show to share one of the top Spring trends and represent my brand, Rachel Parcell!!! It really was one of the most surreal and exciting experiences! I was super star struck when I walked out and saw Hoda and Andy Cohen standing in front of me, that I couldn’t even fully remember what I had planned to say (I accidentally said our collection launches April 12th)! 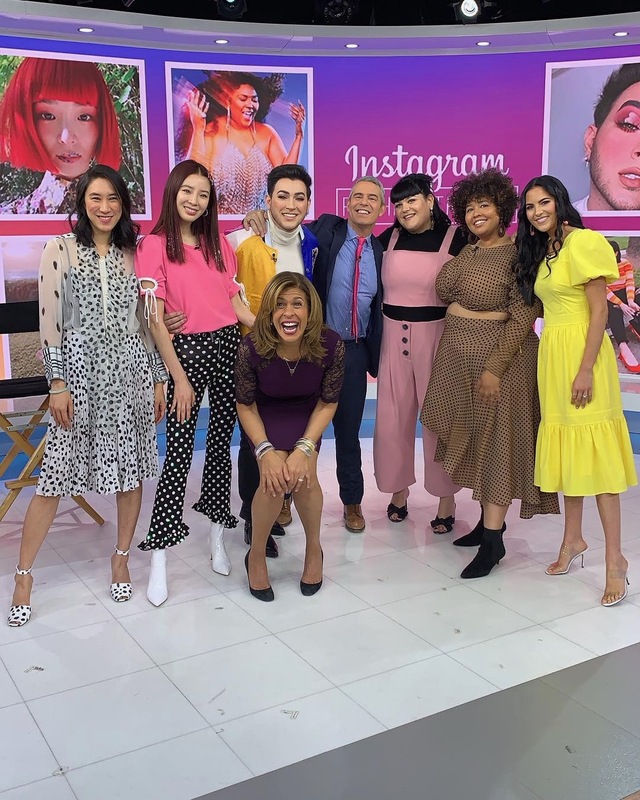 I was invited to be a part of the Spring 19 Style Segment to represent a dominant trend for 2019! Of course I picked a trend that we are definitely playing into for our new Spring collection that is launching in April! The trend I spoke to was the color Yellow! Yellow flooded the runways this year across many different brands and designers. As everyone now knows, our new collection will be exclusive to Nordstrom, online and in stores, and we couldn’t be more thrilled about it! It will be available to shop on April 9th to Nordy club members and then available to the public starting April 10th! If you want to shop early, be sure to sign up to become a Nordy Club member. I have included the link below! I can’t wait for all of you to see the rest of the beautiful pieces to come! 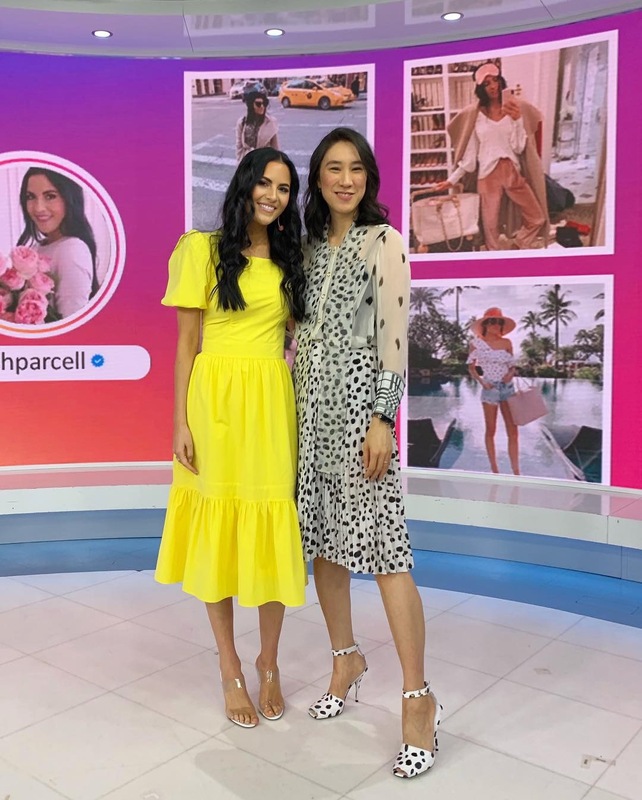 Sign up here to become a Nordy Club Member for early access to shop the Rachel Parcell Collection! Congratulations!! this is seriously amazing! Congrats! I’m so happy for you! 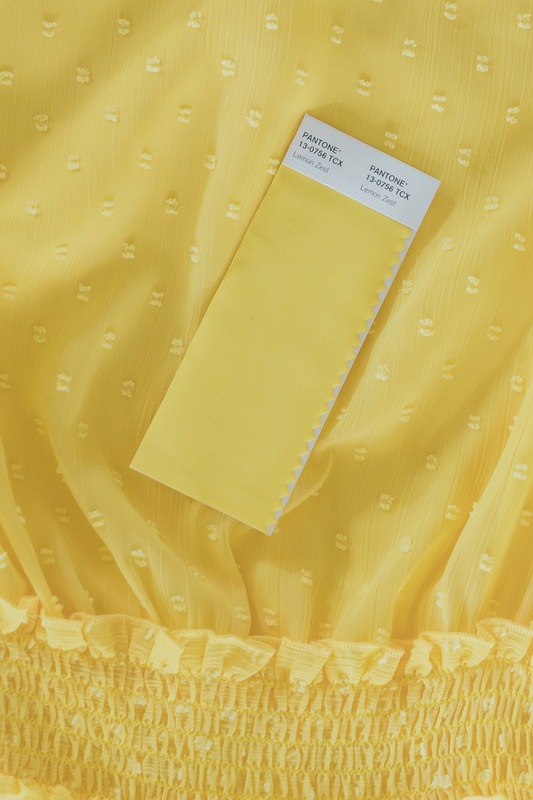 I can’t wait to see what your new collection looks like, I love yellow and I think it’s an amazing colour for spring. CONGRATULATIONS!!! TODAY IS A VERY SPECIAL DAY FOR YOU. YOUR YELLOW DRESS IS SPECTACULAR. THE COLOUR AND THE DRESS FIT YOU WELL. I AM LOOKING FORWARD TO APRIL 12TH. THANK YOU FOR SHARING YOUR LIFE WITH US. YOU ARE AMAZING! How exciting is this post! A big congratulations to you, for all the persistent, consistent hardwork through the years, it is finally paying off, wishing you many more sucesses in the near future too. Is it only access online to shop early at NordstRoM or Your line be available in store at Nordstrom on the 9th as well? It will be available only on Nordstrom.com and in certain Nordstrom locations. Early access will begin on April 9th for online if you are signed up for the Nordy Club. On April 10th it will be available to the public in stores at certain Nordstrom locations and online at Nordstrom.com! Congratulations on your collection-it is going to be beautiful! 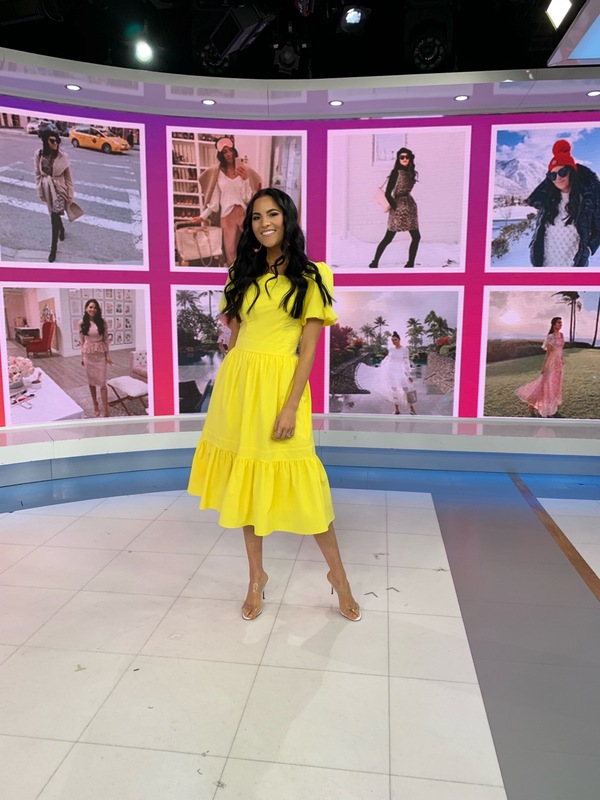 I am loving this yellow dress and can’t wait to shop it. Thank you, thank you!! We can’t wait for everyone to see everything and shop the collection! I just love this sunshine colour! Can’t wait to see your new collection! Thank you so much! Can’t wait for you all to see it! Love! What are your shoes too? Love!! What are these shoes too? Recently On your Instagram story, you showed the gold rimmed glasses for Your diet cOke drink being pulled out of the china cabinet. I noticed the beautiful floral wallpaper lined on the back side of the cabinet. Can you please let me know where yoU purchased it from and wHat is the name of the wallpaper? I would love to use the same wallaper for my new pantry. Wow, congratulations! THat’s wonderful. It must have been such a fun and rewarding experience. It has been very rewarding! Especially because our customers are so excited about it! Thank you so much!